Calling all drivers in the Greater Naples area, Bonita Springs, Cape Coral and beyond to our Jeep Naples dealership: Naples Chrysler Dodge Jeep RAM to come discover the handsome beast of the roads – the new 2018 Jeep Grand Cherokee. At Naples Chrysler Dodge Jeep RAM you will find great cars and trucks for all tastes and budgets, but we would like to introduce you to the new 2018 Jeep Grand Cherokee. The new 2018 Jeep Grand Cherokee ranks very high among mid-size SUVs. The Jeep Grand Cherokee comes in many trims all with their own personality: Jeep Grand Cherokee Laredo, Overland, Upland, Altitude, Limited, Sterling Edition, Trailhawk®, High Altitude, Summit, SRT®, and Trackhawk. The 2018 Jeep Grand Cherokee looks just as handsome in gloss black as it does in red. The new 2018 Jeep Grand Cherokee is a handsome, sleek and quick mid-size SUV that is not afraid of getting some dirt on its available alloy wheels off-road. The new 2018 Jeep Grand Cherokee offers a cabin that comfortably seats 5 passengers who will have no problem feeling at home on any journey. The new 2018 Jeep Grand Cherokee is sure to appeal to you with luxurious standard features that include a new Uconnect® 4 system with a 7-inch touchscreen that pairs with Voice Command to enhance your safe driving while keeping your eyes on the road. Smartphone integration features such as Apple CarPlay™ and Android Auto™ allow you to access your favorite apps and retrieve your messages on the go. Other standard features include Bluetooth® technology, a 6-speaker audio system with superior sound and last, but not least, a handy USB port. Whether you’re in the standard trim or a more expensive model like the Jeep Grand Cherokee Overland, you’ll find convenience everywhere you turn. The new 2018 Jeep Grand Cherokee is waiting to meet you for a test drive at our Jeep dealership: Naples Chrysler Dodge Jeep RAM. The 2018 Jeep Grand Cherokee’s interior was strategically designed with your comfort in mind with soft touchpoints and easily-accessible instruments. The craftsmanship found in the spacious cabin of the Jeep Grand Cherokee inspires a sense of luxury. Some of the great available features for you for a premium interior include an advanced Uconnect® 4C NAV with an 8.4-inch touchscreen, featuring a 3-D navigation system with Siri® Voice Command. A 9-speaker audio system with premium sounds is also available. You can equip a CommandView dual-pane sunroof with power controls and a power sunshade. Stay warm with an available heated steering wheel that will serve you well during the cold winter in addition to heated front and rear seats. For warmer days, ventilated front seats can be quite helpful during the summer. Available leather-trimmed seats, Nappa leather seats, dual-zone automatic climate control, a Proximity Key and push-button start all add a layer of convenience. Come and experience the 2018 Jeep Grand Cherokee at our Jeep dealership, Naples Chrysler Dodge Jeep RAM. The smooth ride you can experience in the new 2018 Jeep Grand Cherokee while cruising on city streets can easily make you forget that you have at your command a high-performance mid-size SUV with impressive off-road abilities. With a standard 3.6-liter V6 engine with 295 horsepower, the 2018 Jeep Grand Cherokee is capable of powerful acceleration. The upgraded V8 engines of the 2018 Jeep Grand Cherokee make it one of the fastest mid-size SUV, capable of towing up to 7,200 pounds. The 2018 Jeep Grand Cherokee has a total of 5 engine options ranging from a standard 240-horsepower turbocharged 3.0-liter V6 EcoDiesel to an impressive available 707-horsepower supercharged 6.2-liter V8 engine. The new 2018 Jeep Grand Cherokee is setting a new standard in SUV performance with excellent handling on and off-road. All 2018 Jeep Grand Cherokees with a V8 engine come with 4-Wheel Drive. You also have the option of upgrading to a 4-wheel drive on the V6-powered models. Test-drive it today at Naples Chrysler Dodge Jeep RAM. 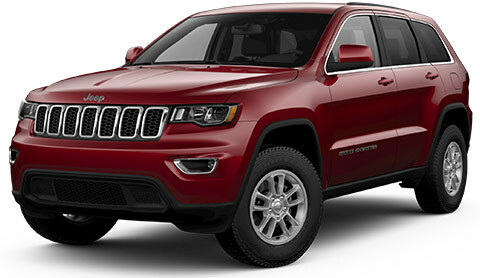 The 2018 Jeep Grand Cherokee has your utmost safety in mind offering both passive and active safety and security features that include the following: Front and rear crumple zones, Driver Assist Systems alerts, a Blind Spot Monitor, available Forward Collision Warning with Active Braking and available Adaptive Cruise Control. 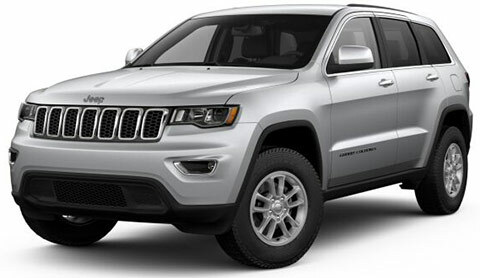 Owners of a pre-owned vehicle like the 2015 Jeep Grand Cherokee or even the 2017 Jeep Grand Cherokee are certainly in a great position to appreciate all that the 2018 Jeep Grand Cherokee has to offer. Come visit our Jeep dealership at Naples Chrysler Dodge Jeep RAM for competitive great car loans for your New 2018 Jeep Grand Cherokee. Superior customer service awaits you. Come visit us at Naples Chrysler Dodge Jeep RAM! Once you take command on the road of your handsome beast, the 2018 Jeep Grand Cherokee, our experienced and caring service department at our Jeep Naples dealership: Naples Chrysler Dodge Jeep RAM will be more than happy to help you maintain your vehicle in good shape. Test-drive the 2018 Jeep Grand Cherokee today at Naples Chrysler Dodge Jeep RAM!